One of the greatest risk while driving a vehicle, is involving in an accident. 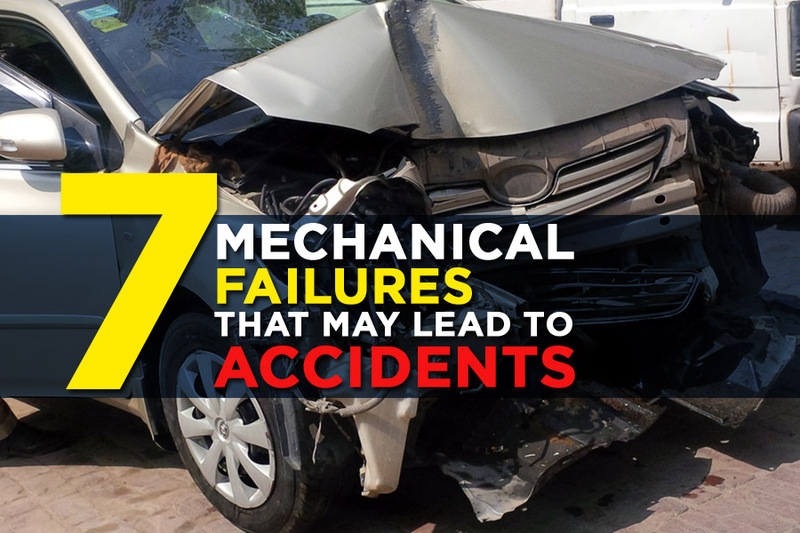 Accidents can occur due to several reasons such as over speeding, distracted driving, bad weather, breaking traffic rules, driver errors, pedestrian involvement & mechanical failures etc. Getting into a car accident can lead to several unwanted consequences, including permanent injuries, loss of earnings, etc. So it’s better to try your best to avoid any risk that may lead to an accident. 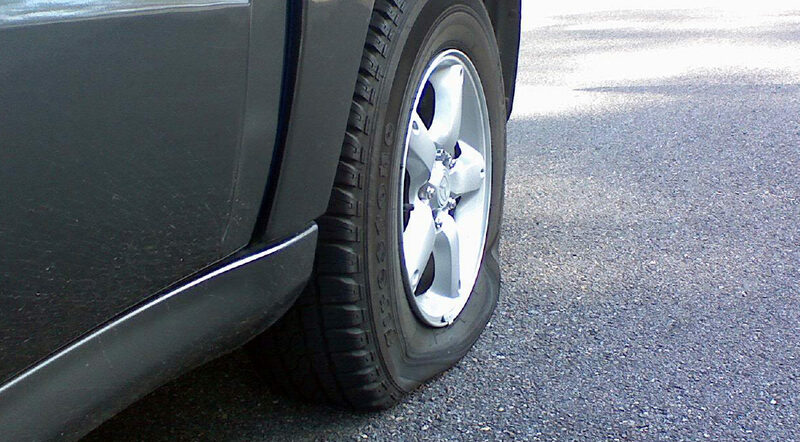 When a tire is underinflated by more than 25%, it greatly increases the risk of the tire overheating and failing, especially when driving at highway speeds during hot weather. When the tread on a tire is worn down, there is not enough wet traction. So when the tire hits a puddle on the road, there isn’t enough groove depth left to handle the water. The water forms a wedge under the tread and literally lifts the tread off the pavement. This is called hydroplaning, and it is a potentially dangerous situation because the tire is no longer in contact with the road. It is skimming over the water with no directional stability or traction whatsoever. Under these conditions, the vehicle may lose control and spin if the vehicle is turning, accelerating or braking. If the vehicle is equipped with stability control, the stability control system may help the driver maintain control provided some of the other tires still have traction. But if all of the tires are badly worn and are hydroplaning on a wet surface, your vehicle may completely go out of your control. 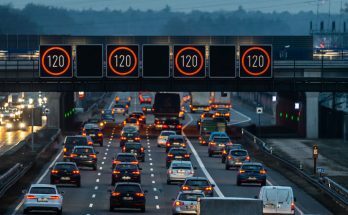 Under these conditions, the only thing you can do is to lift your foot off the accelerator pedal and/or brake pedal, and avoid making any jerky or abrupt steering maneuvers. When the vehicle slows and starts to regain traction, gently brake and reduce your speed. 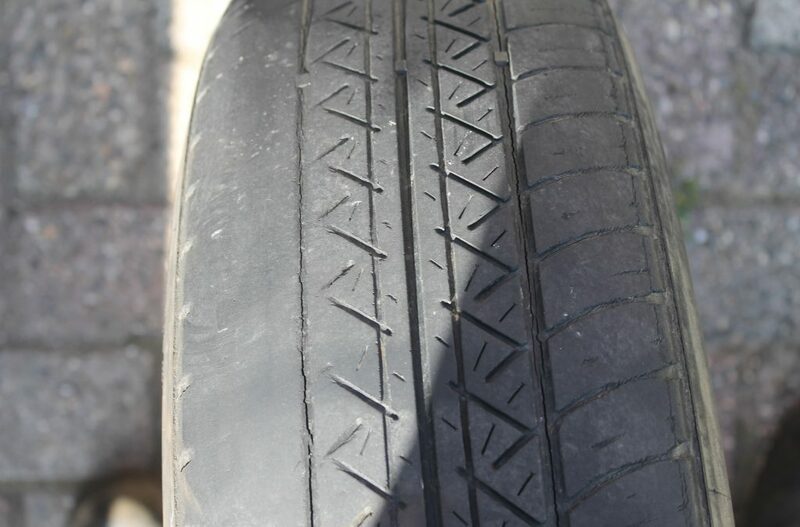 The condition of the tires should be inspected regularly. Look for unusual or uneven wear, bulges or wrinkles in the tire sidewalls, cracks in the tread that may indicate tread separation, or loss of air pressure. 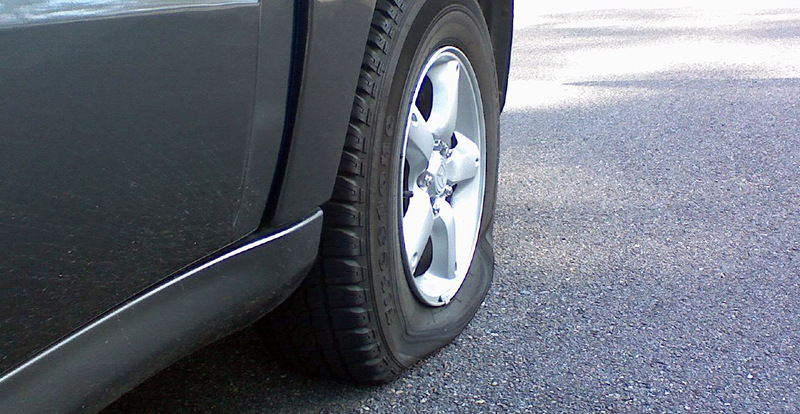 A small puncture in the tire or a rim leak where the tire bead seals against the lip of the wheel could lead to a flat tire or a blowout. Another reason contributing to road accidents are poor brakes. 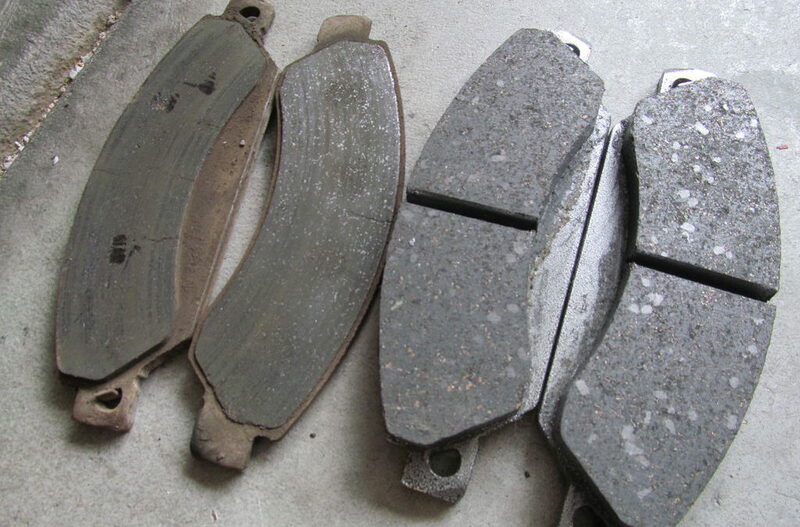 Brake pads and brake shoes have a limited service life and they receive wear n tear over the period of time even under regular usage.. Eventually, they wear down to the point where they have to be replaced. The hydraulic and mechanical components in your brake system also have a limited service life. Over time, rubber seals and hoses can deteriorate and leak. Metal components can rust and corrode. If your brake system develops a leak, it may cause the brakes to fail because of loss of hydraulic pressure when you apply the brakes. Check your brake fluid regularly. The fluid level in the master cylinder reservoir will gradually drop as the brake linings wear. 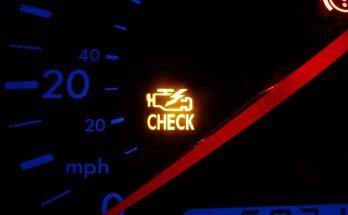 But if the level suddenly drops, it may indicate a leak and a need for immediate brake repairs. 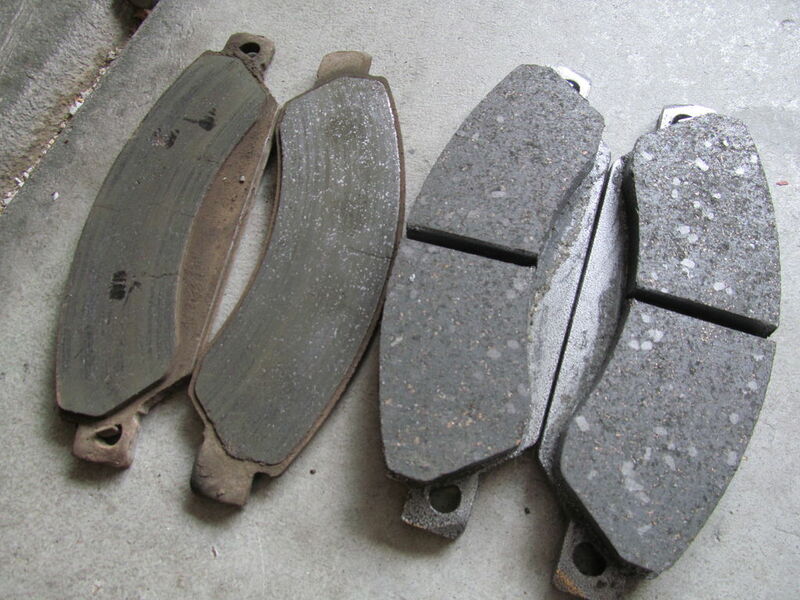 Symptoms of worn brakes include scraping metallic noises when you apply the brakes, a pull to one side when braking, a soft or spongy feeling brake pedal, a low brake pedal, or a peal that slowly sinks to the floor when you are holding pressure on the pedal at a stop light. Any of these can create a potentially dangerous situation, so don’t neglect your brakes if you think they need your attention. The tie-rod ends in the steering linkage will wear over time, and loosen up. This can cause looseness and play in the steering, which you can feel when you are driving. 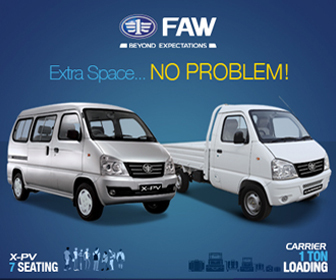 Your vehicle may also tend to wander when driving straight. The danger here is, if a tie-rod end fails and pulls apart. This can happen when the tie-rod socket is badly worn and the ball stud pulls loose. 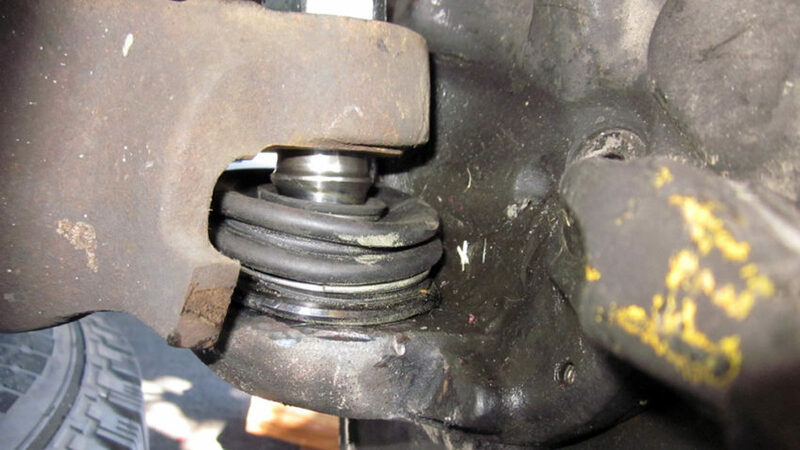 If a tie-rod end fails, you will lose steering control of your vehicle. 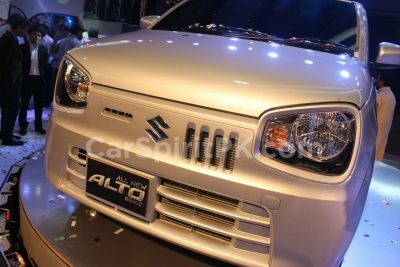 The wheel on the side with the separated tie-rod end will immediately be pushed as far back as it will go, causing the vehicle to veer sharply in that direction. To prevent this from happening, the tie-rod ends should be inspected if your tires show unusual or uneven wear, or if the steering feels loose. The tie-rod ends should be checked for any visible play, or damage. If the tie-rod end is loose or worn out, it must be replaced. The ball joints connect the control arms to the steering knuckle. As the ball joints wear, the ball stud can become loose in the socket, increasing the risk of stud breakage or separation. 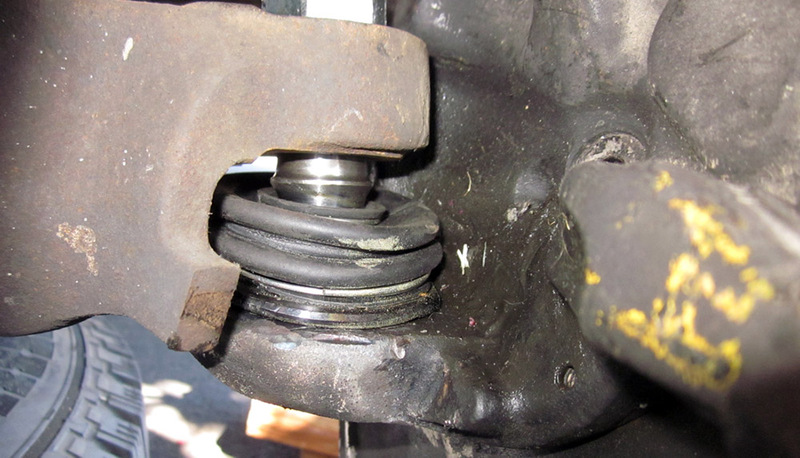 If the ball joint fails, the suspension on that side will collapse causing a loss of steering control. Ball joints should be inspected if the tires show uneven wear (typically heavy shoulder wear on the inside of the tire(s)), or you hear clunking noises when driving over a bumpy surface. The lug nuts keep the wheel on the hubs. As long as the lug nuts are tightened properly when a wheel is changed, they should remain tight and not work loose. But if the lug nuts are not tightened adequately, they may loosen up over time and allow the wheel to fall off. Lugs nuts should be tightened with the wheel on the ground and the weight of the vehicle on the tire. 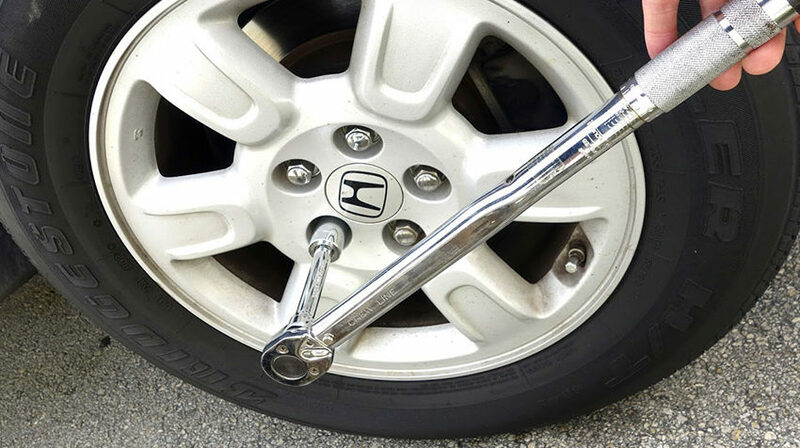 Installing the wrong type of lug nuts for the type of wheels on the vehicle may also prevent the nuts from retaining torque properly, allowing them to loosen up. A wheel that has one or more damaged lug nut holes may not allow the nuts to retain torque. So if you have an old damaged wheel, it must be replaced. Wheel bearings and axle bearings on newer vehicles are usually sealed assemblies and require no maintenance. But sometimes outside contaminants can enter a wheel bearing (as when driving through hub-deep water or mud) and cause the bearing to fail. Extreme loading or abusive driving can also increase the load on the bearings and shorten their life. If a wheel bearing is failing, it will often produce a cyclic noise that changes with vehicle speed. It may also produce a slight growling or rumbling vibration that can be felt in the vehicle. A noisy or rough bearing should be inspected without delay. If a wheel bearing or axle bearing fails, it may cause the vehicle to lose a wheel, which also means an immediate loss of steering control. Defrosters that do not work can make it difficult to see on a cold, wet day. The defrosters should direct air to the windshield when they are turned on. If your heater/air conditioner controls have a RECIRC or OUTSIDE air button, use the OUTSIDE air option. 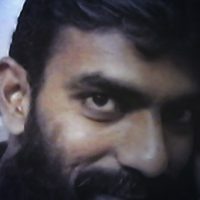 Using RECIRC will only re-circulate the wet, moisture laden air and make matters worse. When the defrosters are turned on, the air is usually dehumidified by the air conditioner to make the moisture on the inside of the windshield evaporate more quickly. If your A/C is not working, this obviously won’t happen. 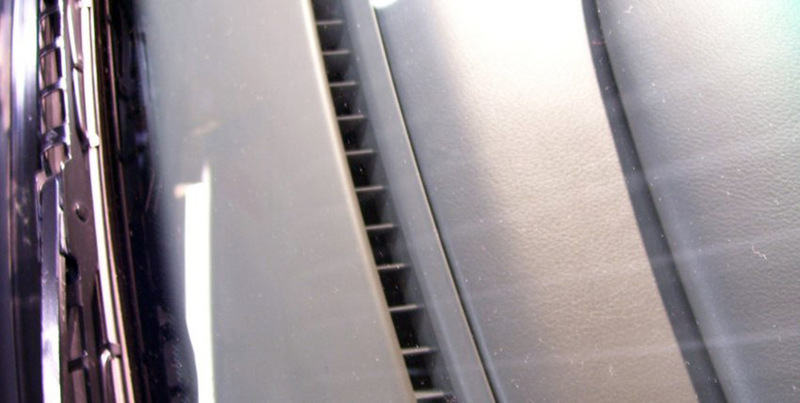 If the heater fan blower is not working, no air will blow out of the defroster ducts. If the door that redirects the air from the heater outlets to the defroster outlets is stuck or inoperative, the defrosters won’t work. Or if the ductwork that connects the defroster outlets to the HVAC unit is loose or leaking, air may not find its way to the defroster outlets. So it’s always a safer bet to get your defroster fixed as it will aid you to drive safely in conditions when the visibility on the roads is restricted. 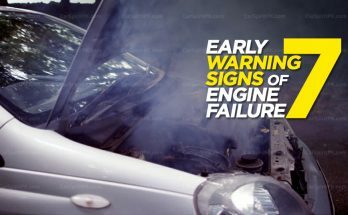 If you are driving quite an old car that has a badly rusted chassis, there is a chance that the strut towers or other suspension attachment points may break loose or collapse. Cars are not designed to last forever, so if you are driving an old rust bucket, you should keep a close eye on the load bearing points like the strut towers, sub-frame and other suspension attachment points. 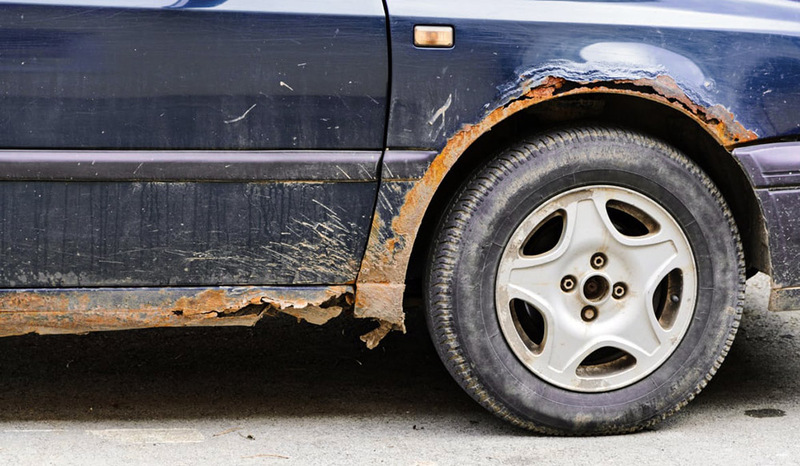 In such case, get the body work done and try as much as you can to prevent your vehicle from catching rust. 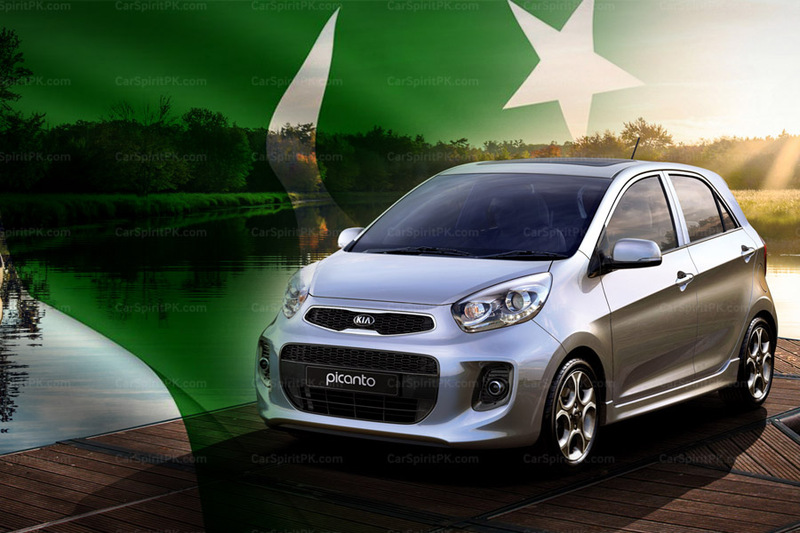 Next Article 12th Generation Toyota Corolla Rendered..